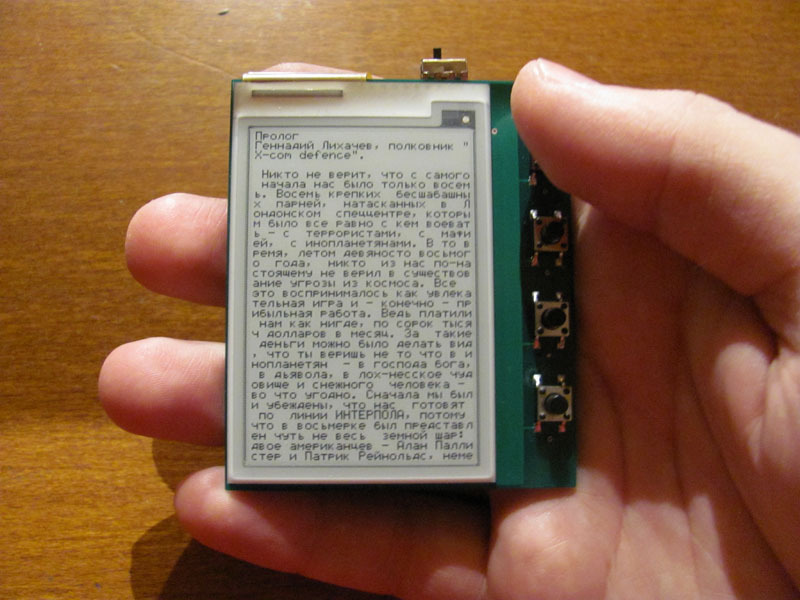 It would have been good for it to have an e-ink screen, to be thinner, the screen to be larger, etc. Such was the feedback for Mk. 1, that i couldn't fulfill for a while. 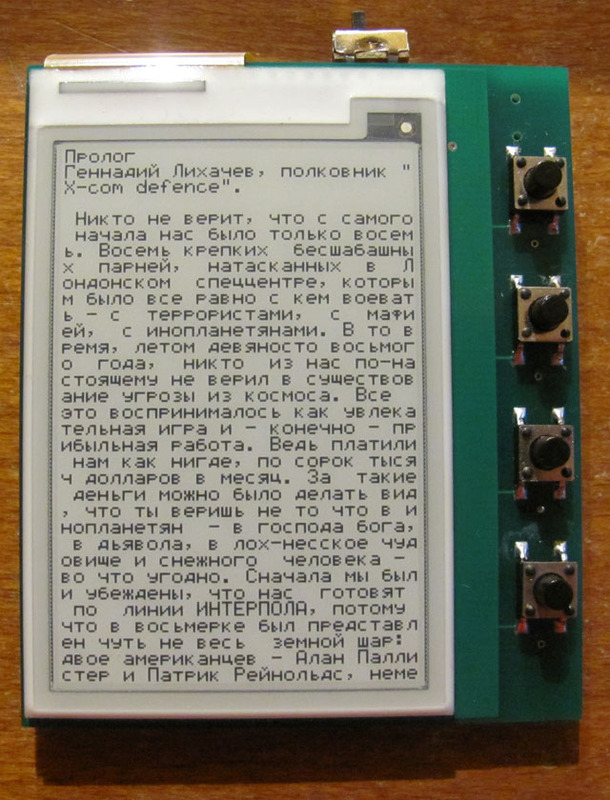 Then, i found out that there are documented e-ink displays in open sale. http://www.pervasivedisplays.com sells them, and they are not at all that hard to interface. I got a demo board from them, and knew at once that this is the kind of screen Microbook needs. 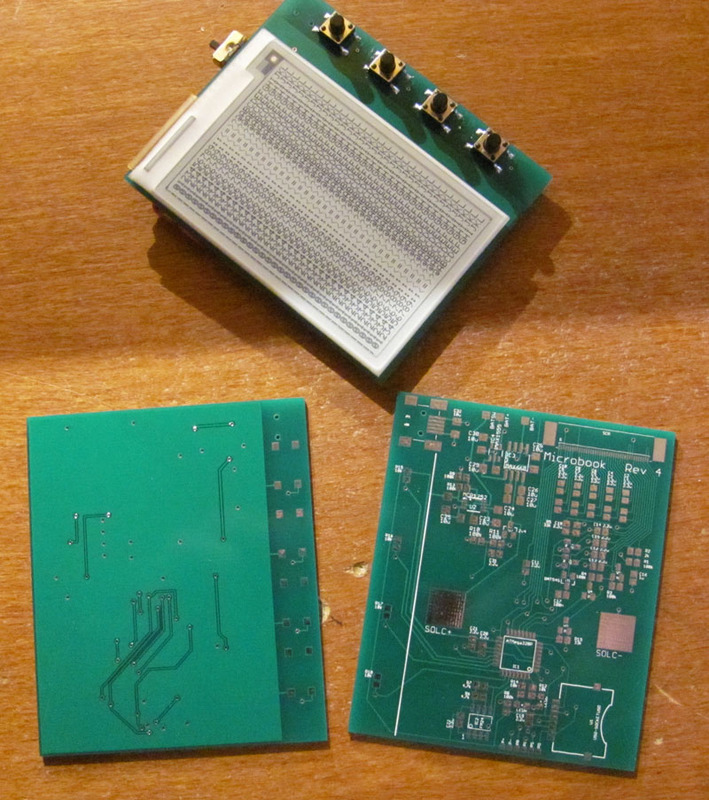 Unfortunately, to fit the screen interface within it's own size was a task outside my home PCB etching capabilities. 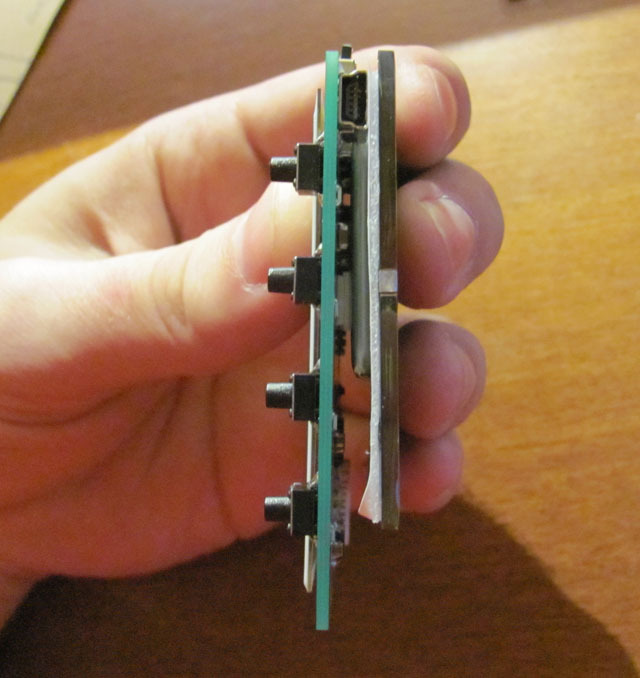 At first, that was a show-stopper - what is the point of an open-source hardware project that can't be made at home? But really, it's not that big of an issue, apparently. So, i went to the Dark Side PCBCart, and got a few boards made. It was an interesting experience - i have gone over the design many times, checked the reference schematics for the screen interface several times over, looked closely at the demo board, simulated the charge/discharge circuitry, etc. 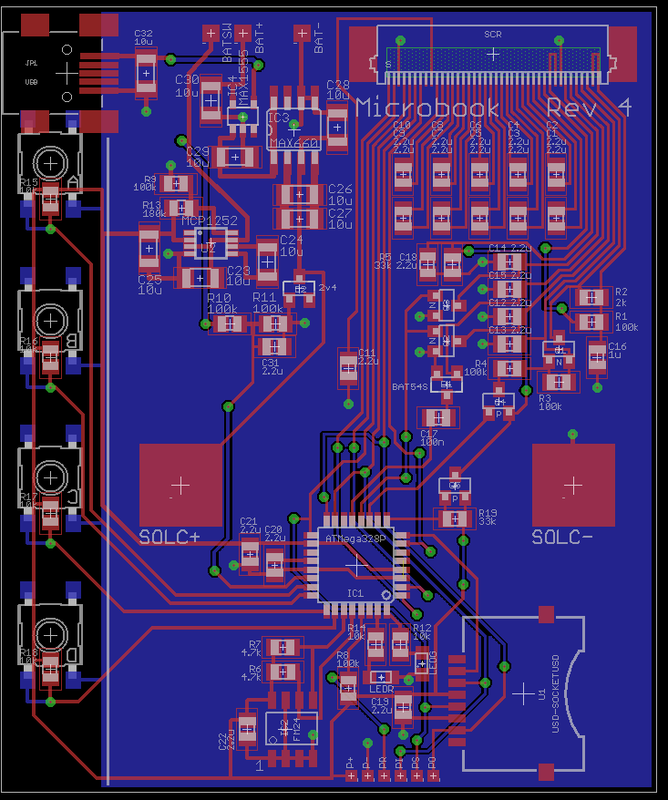 Still, the fact remained that i was sending PCBCart a board i haven't actually made and tested myself - that never happened before. But it came out ok. The display from the demo kit fit in nicely, and worked from the first try. The result is a nice, flat package with a big, low-power screen. I also added an USB charging port, in case the sun wasn't available. 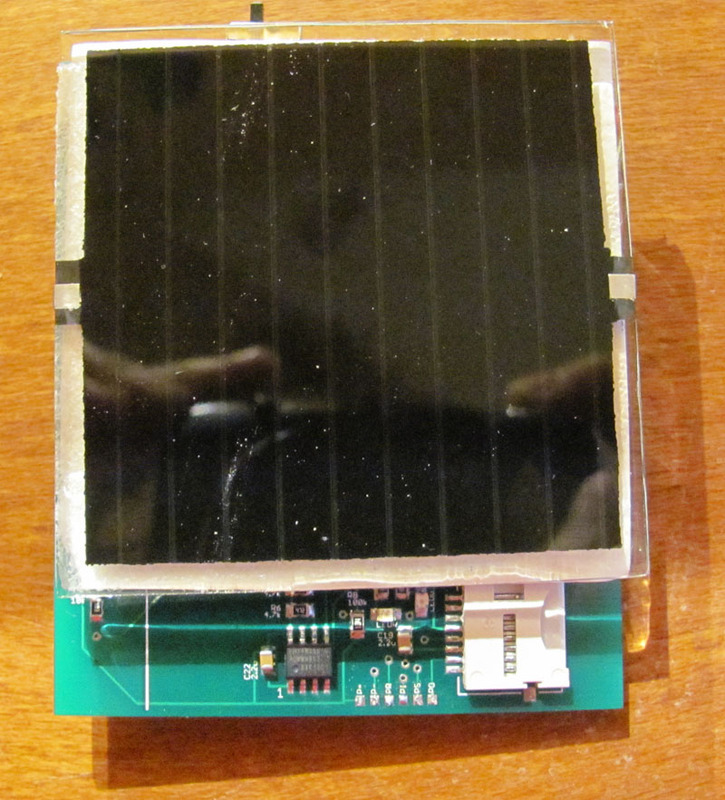 The "perk" of the design - a solar panel on the back to charge it anywhere from free energy. Might not look like much, but there are 4 of the Mk. 1 models out there with a much more power-hungry screens and no other charging option, that worked for years without ever running out of charge. 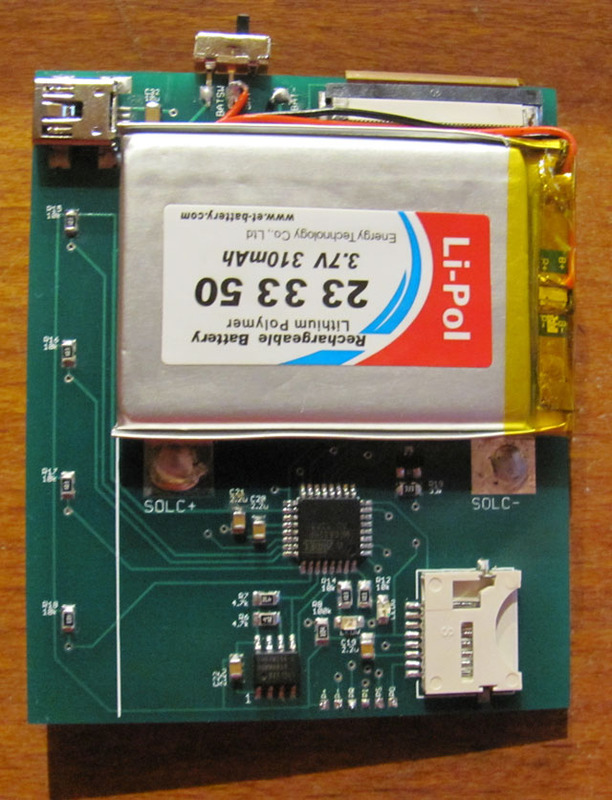 Under the panel, a typical li-po cell. I wanted to put it under the screen, but they don't make cell that thin, apparently. No idea how long it would last without a charge this time. But i hope for years. There are still a lot to tweak and a proper software to write (update times with the Mk. 1 FW are atrocious), so the design files will follow later.